Description: The Ōtsutsuki clan is an extra-dimensional family of extra-terrestrials. After part of the clan's arrival on Earth a millennium ago, the Ōtsutsuki began having a lasting influence on the human population, notably starting the history of shinobi. Since an unspecified time in the distant past, the Ōtsutsuki have been travelling through different dimensions seeking out worlds with the God Tree. Once they find such a world, they harvest the god trees' fruit so that they can use its chakra to gain power and prolong their lives. In their ancient times, the Otsutsuki would enslave the inhabitants of a given world in to being harvested for their physical and spiritual energy in order to grow the God Trees. This custom changed finally when the clan reached their peak of power and began facing great inner turmoil out of greed for power. This all began with their most ancient ancestors, who were called the Vanir. The Vanir worshiped a pantheon of entities known as the Aesir, whose world was considered a paradise of power and beauty. They were known across the dimensions and worlds to be a superior race in virtually every way. Under unknown circumstances, the Aesir were destroyed and their world left without inhabitant. The Vanir, after searching for centuries for the fabled world, landed upon it and were shocked to find it barren of Aesirian life. They did not find it entirely barren however. The Vanir took as much cultural information and artifacts as they could, in order to find the secret of the power of the Aesir. They would, among their study of this world, find a sacred treasure they called the “God Tree”. They were convinced from that point on that it was the source of the power of the Aesir, and by eating its fruit, they would be masters and lords over all things. This led to them planting and seeking to grow the tree on every world they possibly could in order to grow in power and immortality. Eventually, the Vanir were consumed with power and greed and became increasingly self destructive as they grew. Eventually, the Vanirian empire reached its peak in power and population when a great war took place among them that ended the lives of over 80% of the Vanirian population. 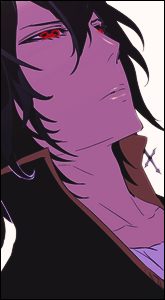 The emperor at this time, Kagura, was the strongest Vanirian believed to have lived. He would give himself in order to end this war, leaving wisest child, Kaguya to carry on a new path for the dying clan. The late Princess Kaguya, daughter of the greatest Otsutsuki Emperor, led the clan to a new way of peace and civility that she believed was essential for their future survival. It was during this time that the Otsutsuki first made their home on earth. Her goal was to make peace with mankind, instead of subdue it and turn it yet again into a farm for the God Tree as her people had done in ages past. Thus, they made peace with the earthlings and settled in a place known as the Land of the Moon Scent. There, they began to first teach men about how to mold their physical and spiritual energies, as well as how to utilize their world’s resources. Later on as the human race grew in strength, they began to resent the aliens greatly as they saw them as a threat to their increasing in power. During which time Princess Kaguya would give birth to two hybrid sons by the King of the Samurai on earth, each born with extra-ordinary power. Seeing them as potential kings to rule both peoples, she trained them privately in the land of the Samurai under the protection of her lover. Eventually, when it came time to choose an heir, Kaguya chose her younger son Haruto to take the fruit that had grown on the God Tree upon the earth; he was to rule the world. Asahi rose up an army to fight his brother for it, and would end up aiding his brother in fighting the Juubi and creating a prison for its body - which was separated from its chakra. This prison would become the moon, and the home of the Ootsutsuki clan from that day on. There, they would be guardians of the Juubi carcas as well as watchers of mankind. Clan Customs/Attire: The Ootsutuski clan have a monarchy, where the royal family is considered to be of the purest and strongest bloodline. There are many "houses" within their race, with the House of Kagura being the highest; the descendants of Princess Kaguya's father. Other houses are used for other purposes and they possess a striving for the throne continually since the late Kaguya's passing. Their king is considered the ruler and head over all activities ultimately, but has many people under him that handle smaller things within the kingdom. Their clan is quite large, and therefore there are far too many things for one person to handle. They are usually seen wearing white robes and have long white/blue hair with pale skin. They are a very gentle and quiet people by nature, though ferocious in battle. They seem to have a quite cold way about them and are not given to the love of the family structure very much. Clan Special Characteristics: The Ootsutsuki clan possess a KKG directly related to their extra-terrestrial biological makeup. They have the Byakugan as well as the Bone-pulse. Bones have +100 power to them; have a static endurance of 600. Ootsutsuki get a +50 boost to their endurance because of their strong skeletal structure. Are able to fly freely, but not at speeds higher than speed stat. This costs them 10 chakra to activate, and five to maintain. They have 110 life force naturally. Get +2 skill points in taijutsu. Start with no elements; do not get +1 skill points for starting with no elements. Byakugan costs 5 chakra per turn to have active. Level four Byakugan costs 10 chakra per post to maintain. Takes up 1/3 Canon Restricted technique slots. Can have 1 implant slot Max. Name of KKG Bone Pulse/Byakugan. The Byakugan gives the user a near 360º field of vision, except for one blind spot at the back of the neck above the first thoracic vertebra.The range of this vision varies between users and in fact can be improved with training. 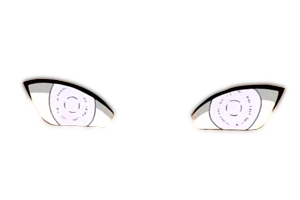 Its vision can penetrate through most solid objects and obstructions, though certain barriers may distort the Byakugan's perception somewhat. The Byakugan is also able to more effectively follow high-speed movements to better react to them. *Reactionary Speed boosts DO NOT stack. Each level you simply have that level's reactionary speed boost. Level One: Every user begins in this stage. User is able to see 1,000 meters, and is capable of seeing chakra and tenketsu points within this range. Level Two: User is able to see 2,000 meters and now can use microscopic vision to see things as small as insects upon the ground. Level Three: The user is able to see 3,500 meters and can now use microscopic vision, as well as the ability to see heat. Gain +100 genjutsu points. User gains +50 reactionary speed. Meaning they can dodge an attack at +50 speed. Level Four: The user is able to see 5,000 meters, along with all types of other sight. User gains +100 reactionary speed; they can dodge at +100 to their speed. The Gentle Fist (柔拳, Jūken) is a form of hand-to-hand combat used by members of the Ootsutsuki clan. It inflicts internal damage through attacking the body's Chakra Pathway System, subsequently injuring organs which are closely intertwined with the area of the network which has been struck. To do this, the user surgically injects a certain amount of their own chakra into the opponent's chakra pathway system, causing damage to surrounding organs due to their proximity to the chakra circulatory system. Even the slightest tap can cause severe internal damage, hence the name "gentle" fist. By employing the use of the Byakugan they can target the tenketsu, thus enhancing the havoc and control a Gentle Fist practitioner can impose upon an opponent's chakra network. These 361 nodes are key gate-keeping interceptions in the chakra circulatory network, thus forcibly opening or sealing them in whatever manner the Gentle Fist user sees fit, is a powerful tactical option to have. The affected person's chakra flow can either be increased or disrupted completely, preventing them from using techniques. Description: This is based upon the Byakugan's unique ability to harness the user's sensitivity to chakra via whats called the "Trigram Platform". *Trigram Platform - The Ootsutsuki are able to go to a subconscious place in their mind, similar to Jinchuriki, and in that place time stops for a moment in their minds. During which time, their environment becomes black, with the only light being that of the chakra of entities around them that their Byakugan can see. A trigram with several symbols is beneath them and extends out to varying distances. Within the perimeters of this platform, the user gains speed of +25-100. The Byakugan manifests this ability, which is the prerequisite to the Gentle Fist fighting style, immediately. At LVL 1 in the Byakugan, the platform is 20 meters, and the speed within that is +25. For each evolution of the Byakugan one advances, the distance of the invisible platform increases by +20, and their speed increases by 25, and increasing by 50 in the last level.. So that at max evolution they are able to have a platform of 80 meters, and +125 speed within that range. Eight trigrams: Thirt-Two Palms B rank- The user seeks to strike thirty two tenketsu points. For every time the target is struck, 20 of their chakra becomes stunned for five turns, and the victim loses 5 life force. If struck eight times, user is unable to move or mould chakra for three turns unless endurance is 150. Eight Trigrams: Sixty-Four Palms A rank - The user seeks to strike sixty-four tenketsu points. For every time the target is struck, 40(per strike) of their chakra becomes stunned for eight turns and the victim loses 10 life force. Any limb/body part struck becomes numb for three posts and unable to be used for molding chakra; they also lose blood flow. Any internal organs struck will shut down for two turns. If struck four times, user is unable to move or mold chakra for five turns unless endurance is 250. Eight Trigrams: One-hundred Twenty-Eight Palms S rank -The user seeks to strike one hundred twenty-eight tenketsu points, which would render the user dead unless endurance was 400 or above if struck with every blow. For each strike, victim has 60 of their chakra stunned for ten turns and the victim loses 20 life force. Any limb/body part struck takes lethal damage, and is numb for ten turns. If not healed by a medical Master before ten turns, limb is permanently unusable and must be amputated or somehow treated so that dead cells do not affect the rest of the body. Chakra cannot be moulded in that limb any longer. Any internal organs struck are immediately shut down and target is immobilised. If struck two times, target is unable to move or mould chakra for ten turns unless endurance is 250. Description: A secret taijutsu that is orally handed down only within the main house of the Ootsutsuki, this technique utilises the chakra control gained through Gentle Fist training to release a huge amount of chakra from all the chakra points on the user's body. It is also a defensive manoeuvre to compensate for the Byakugan's blind spot as the released chakra blocks any possible attack on the user. After releasing chakra from every tenketsu in their body, the user then spins rapidly to parry the attack, both creating a rotating shield of chakra around themselves and tossing away any nearby attackers. The user can also actively control the size and power of the sphere to suit the situation. This technique is only effective when rotating, since the chakra itself is not enough to stop a physical attack thus if they cannot spin, the user becomes vulnerable. The technique is also capable of reflecting an opponent's chakra against them. The user puts in the effort required to parry jutsu of its equal level. *Speed of technique is the user's without any boosts applied. *Shield able to parry all elemental techniques. Must be broken by a jutsu of greater power. *Costs 25 chakra per turn to keep active. The chakra rotation can be disrupted by chakra threads, which slows down the user, binding and tangling them in the webbing, and ultimately forcing them to stop. Description: This technique is similar in practice to Eight Trigrams Palms Revolving Heaven, but has a specific target rather than a general area. To perform it, the user precisely pinpoints the enemy's vital points with the Byakugan and releases a high-speed palm thrust. A "vacuum shell" compressed using the Gentle Fist is formed to attack the opponent's vitals from a distance, blowing them off their feet with tremendous force before they even notice they were hit. If this hits the user, it may strike up to ten tenketsu points at once, or two vital organs. If it does, it will shut down 25 chakra per tenketsu point hit; and render the user unable to move or mold chakra for five turns. Description: The user hits the target at close range with a powerful wave of chakra emitted from their palm, which sends them flying back, causing severe damage. This is powerful enough to break every bone in a person's body whose endurance is less than 50% of the power of this technique. This technique can easily level a portion of a forest as well, and is seen as a long range taijutsu attack. Description: The user changes the shape of chakra released from both hands into large guardian lion-shaped shrouds. Doing so greatly increases range and destructive power. The lion heads drain the chakra network of those they touch. It is an extremely difficult ability to learn, as the slightest mistake in chakra control will lead to failure, meaning it is a feat requiring the Byakugan. This technique can be used in conjunction with the Eight Trigrams techniques. *Lions shut down half of chakra network for whatever they touch, rendering victim only ably to use half of their chakra for four turns. *Multiples of lions can be created for 10 chakra per lion after the first two. The Ootsutsuki clan, upon first eating of the chakra fruit, found their very bones filled with rich chakra. The effects it had upon their bones was that they became extremely hardened and capable of being weaponized. The main capabilities of Shikotsumyaku is allowing the user to manipulate the speed of their bones' growth as well as the location of calcium deposits allowing for great versatility. This allows them to create weapons of bones that can either protrude from any part of the body, or pulled out and used like handheld weapons. The user was also able to create armour of dense bone underneath their skin. They can even fire pieces of their bones as long-ranged projectiles. *Bones are 600 endurance, and +100 strength. The main capabilities of Shikotsumyaku is allowing the user to manipulate the speed of their bones' growth as well as the location of calcium deposits allowing for great versatility. This allows them to create weapons of bones that can either protrude from any part of the body, or pulled out and used like handheld weapons. The user was also able to create Armour of dense bone underneath their skin. They can even fire pieces of their bones as long-ranged projectiles. Any bone that they remove from the body immediately regenerates, as does the skin that is damaged when the bones are removed. Although it seems it takes a bit longer for the limb to become usable again, unless the user regrows the bones consciously. Users can increase the density of the created bones, making them stronger than steel. This not only makes the created weapons very powerful, but also makes their bodies virtually indestructible; the bones can withstand even a chakra-infused blade, which is usually enough to cut through anything. Description: Hardened bones from the fingertips are shot at the enemy, with a spinning motion added to the skeletal bullets. A direct hit will excavate skin, flesh, and bone. Since the bones of the user can be regenerated, the rate of fire from the user's arsenal is limitless. Description: User protrudes bones out of their body from all around. Their incredibly dense bones can be used to block attacks as well as slash opponents from short range. Description: User protrudes long bones from their body and uses them as offensive weapons; using the full effectiveness of 600 endurance bones that have +100 strength/power. Description: With the Shikotsumyaku, the Ootsutsuki can modify and pull out his own spinal column, and regrow a new spine to replace it. Between the bones in the gaps there is cartilage that allows flexibility, which makes it possible to bend it as if it were a whip. With average estimation skills along with the impossible range it stretches, dodging is difficult. The protrusions on the vertebrae are modified to make them stronger and sharper. Can follow up with Dance of the Clematis: Flower to pierce the immobilised opponent. User pulls out their spinal column at their own speed. Description: To obtain the strongest-absolute hardest weapon, a considerable amount of chakra is needed. the user creates a drill like formation around one arm, that is about 10 meters in circumference, and covers their arm in dense bone marrow. Enhanced to the highest degree-maximum solidity due to the dense compression, the bone weapon is exceedingly large. It maintains the normal endurance of 600. Description: Countless bones rise from underground, which can be as many as thousands, up to the tens of thousands. The blades of bone indiscriminately slaughter whoever stands on the ground's surface. Furthermore, if this fails to bring down his foe, the user can become one with the bones, which in turn can allow him to attack an enemy unnoticed. The user is able to travel through the bones in the field at x3 their normal speed(Exclude Boosts). The bones go up to 100 meters high, and can be manipulated by the user to attack foes. The density of the bones is the same as other bone techniques, and the user is able to combine his techniques to create for a world of bone-slashing terror. *upkeep is 45 chakra per turn. Description: A certain-kill technique, the user hardens their own bones and protrudes them out of the skin, and then fires these weaponized structures from their back or from their palms at the intended target. When these bones hit a living organism, the bone and target starts to deteriorate at a molecular level, rotting the victims and reducing their bodies to nothing more than a pile of ash. This technique can be combined with other Bone Pulse Techniques for the same effect. The Tenseigan is the final evolution of the Byakugan. The Tenseigan was first manifested by Kagura Ōtsutsuki. The combination of the Byakugan and the chakra of an Ōtsutsuki clan member can evolve the Byakugan into the Tenseigan. It is considered to be a sign of divinity among the Ootsutsuki, and grants the user several abilities upon being acquired. *Gains access to all five nature transformations. *Gains full abilities of Byakugan. The Tenseigan allows the user to control attractive and repulsive forces, similar to the Rinnegan's Deva Path. With the complete Tenseigan, the user is able to enter Tenseigan Chakra Mode, which grants the user enhanced physical capabilities as well as a number of Truth-Seeking Balls, comprised of all five nature transformations and Yin–Yang Release. By infusing the balls with Tenseigan chakra, it is possible to utilise additional powerful techniques. The Tenseigan is also capable of moving the moon towards the Earth, as well as powering a gigantic golem. Its ocular power is capable of reviving a planet in the event it was destroyed. User must have fully developed Byakugan. User must travel to the moon and find Kaguya's tomb. Once there, they must pass three trials sent by her spirit in order to receive her special chakra, which enables the eye to be awakened. If the user fails the tests, they will die. Mod will NPC challenges, they WILL NOT BE EASY, and you will die if you are not at least a strong S rank; you must take at least two people with you, and figure out a way to logically get to the moon. Description: When the user activates this mode he gains a cyan-coloured chakra shroud with six magatama markings on his collar, dark markings over his eyebrows and lower eyelids, and a single horn shaped like Princess Kaguya's extending from his forehead. The shroud constantly radiates flickering flames of chakra, and his clothing and hair continuously billow upwards as if caught in a strong breeze. This mode is said to be roughly on par with senjutsu-enhanced Nine-Tails Chakra Mode. Upon activating this form the user gains access to nine Truth-Seeking Balls, and the user has the ability to amplify their power by infusing them with chakra, turning them into glowing cyan orbs. In addition to shaping them into shields and dividing them into smaller orbs to launch high-speed barrage attacks. *User pays 40 chakra per turn for mode; and loses -15 life force every three turns. *User's endurance is increased by 300. *User can create Truth-Seeking Balls. These orbs of black energy are highly Resistant to elemental ninjutsu (150% of Strength level over TSB's Strength to damage it), and can be used in a variety of ways to attack or imprison user. They have strength of 800. They also have 1000 Endurance.The ways these orbs can be used is nearly infinite. They can be formed into weapons, shields, etc. and they Resist elemental ninjutsu. These weapons can be no more than 10 meters in size, and their speed is 400. Description: While using Tenseigan Chakra Mode, the user focuses his chakra into one of his Truth-Seeking Balls and grasps it in his hand to create a powerful silvery typhoon. The power of this gust is on par with Kurama's Tailed Beast ball, and is able to break through virtually any defense. Requirements:Must have Tenseigan Chakra Mode Active. Description:While using Tenseigan Chakra Mode, the user focuses a tremendous amount of chakra into one of their Truth-Seeking Balls and grasps it in his hand to create a giant golden sword of pure chakra, capable of easily slicing the entire moon in half with a single swipe. As such, there are not a great deal of defences that can stand up to the attack itself. Requirements: Must have Tenseigan Chakra Cloak active. Description: Toneri focuses his chakra cloak into one hand and creates a green orb that passes through the target's body, absorbing their chakra and leaving them unconscious. The user gains this chakra for the topic. This attack was able to reach the moon's surface, creating an explosion and causing massive damage to the moon, which resulted in a formation of large meteoroids moving towards Earth. The user can implode the orb of energy, creating an explosion of equal to its power plus the chakra it has absorbed. Requirements: Must have Tenseigan Chakra Mode active. Description: Tenseigan user is able to have essentially telekentic hold on objects, able to push and pull them away, as well as grab hold of them. To resist this pull, the object must have a combined base level strength and endurance of at least 1200. Otherwise, user is able to repel or move their bodies. This does not allow the user to access their chakra etc. And the victim is still able to weave hand signs etc. But they are taken off their feat and can be thrown. 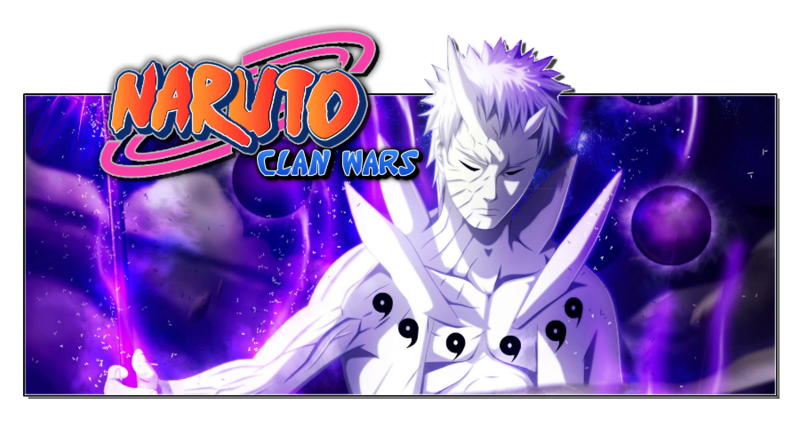 Clan Leaders: Starts off with LVL 4 Byakugan. 1. Bone strength is +100 and not 200 now. 2. Bone endurance is 600, reduced from 800. 3. Otsutsuki Clan takes up 1/3 Canon restricted slot.